Each training is oriented by 2 coaches so we can give a greater care to each athlet. The training is constantly varied, fun and daring and gives the athlet a way to be in the best form of is life. 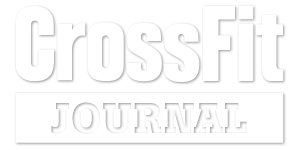 Initiate students, where the focus is an approach to CrossFit fundamentals. Athlete’s with difficulties in certain domains and working in their limitations. The mobility class aims to increase the flexibility and relaxation of muscle and joint tensions. The use of various tools such as as bars, PVCs , tennis balls, elastic bands , will be accessories for your body to function to the fullest of their abilities , thus improving the quality of life inside and outside the BOX. Training methodology adapted to kids (from 3 to 14) promoting the development of their physical skills, as well of their social and emotional skills. With these features we intend to increase the body awareness and posture, with constant reinforcement of the fundamental stabilising muscles for CrossFit practice. Structured Classes based on a monthly training schedule, to develop and consolidate the athlete’s spececific skills in gymnastics. It is not a simple stretching but a protocol developed to increase the amplitude and reinforcement of the joint, thus promoting the muscular and articular longevity of the athlete. Program developed for the reinforcement and increase of lean mass through techniques whose goal is muscular hypertrophy.